In the ancient times, people use to write poetries, love letters etc to express their feelings for their loved ones. With the change in time and scenario, hand written things are replaced by the printed things. The same happened with the Love Letters. Nowadays, instead of writing a letter, people prefer to buy a card to express what they feel. But the whole thing of writing letters was to make that person feel special. Since, it will solely be written for them, it gives a more personalized as well as special touch. The importance of those letters can be understand by those people only, who use to communicate via them. With these lovely DIY Valentine Cards, you can again revive those time. You can create the card on your own, write anything inside them which you want to share with your Bae. The only advantage of giving a card instead of saying it directly, is that your Bae can keep it as a memory forever. Every time he will love at the card, the memories will be revived. Whereas this doesn’t happen when we merely say things. Even with time people forget it. So it’s better to preserve the memory with Valentine Cards. Control your spending by creating your own Valentine Cards, along with making it more personalized and special. Here have a look on the ideas. In case you are still confused what to give your Bae on this valentine, then Fold Out Cards can be a great idea. It’s fun making it and your partner will be impressed with your creativity. With this simple DIY valentine card you can make your day even better. You can tag them with your gifts as tags or you can also use them as place cards for Dinner, lunch or Brunch. Here, get the hack of making it. Are you bored of same old stuff used on Valentines? Those red heart shaped decorative and gifts make you feel dizzy? Then say no to them and make these Love Free Printable Valentine cards. 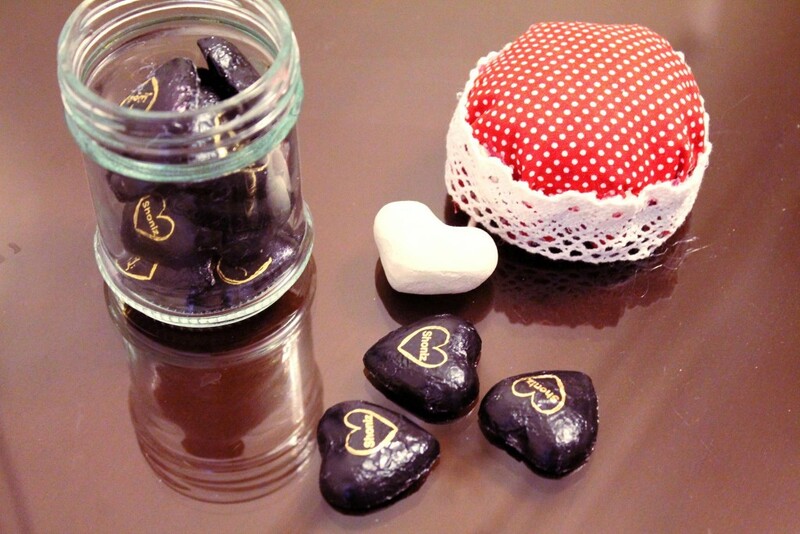 They are easy to make, looks cute and will definitely overwhelm your partner. Start making them now, get the full tutorial here. Nowadays, kids are celebrating all occasions and festive in their school. Since, it’s time for Valentines now, you can use Crochet Letter Cards which they can easily use in their class. Help them in building their sweet memories from the very start, just like you did when you were in elementary school. There is a lot you can do with these lovely Crochet Letter Cards. Click here to get its full tutorial. Love is in the air, which means valentines is approaching soon. Unicorn Valentine Card is the best DIY project you can craft with your children. Let them make these simple cards yet adorable cards for their classmates as well as teachers. Everyone will be amazed with their creativity. Click here to get the full tutorial and start making them now. This can be a great valentine card idea for your bestie, to show her, how much you love her and her in your life. These Valentine’s Day Necklace Cards are adorable and easy to make. Start making them now and get indulged in the fun and festive spirit. You can even write messages inside the cards to make it more personalized. Your bestie will surely love this idea and will keep it forever with her. So, why wait? Start making them now by following the tutorial here. Valentine’s day can be celebrated amongst friends. These days even schools are celebrating valentine’s day. If you are wondering what to make this valentines for your kid’s classmate, then Valentines Cards with Kids Toys is a lovely idea. Your kid will love to make them and his/her friends will surely going to love it. To know more about it, click here. Are you soon going to be a bride? Still looking for some ideas to express your gratitude for your bridesmaids? Then Bridesmaids Valentine Cards is your best option. You can easily make them and express what they mean to you. Cherish your old school memories with these cards and make them feel special. You can also write some lovely quotes inside to make it even more special. Get the full tutorial of making them here. I always love paper crafts, all my decorations have at least one of the paper crafts. This year, I decided to make Pillow Box Valentine’s Cards. These are best for gifting small surprise to your loved ones. You can easily give these to your partner, friends, family member, or can also let your kid give it in his/her class. You can put treats, little toys or anything like that inside it. Click here to know how you can make it. Valentine’s day is the time to cherish your love. Include your memories in it, make it more special and revive all those things which you have enjoyed once. Make Valentine Picture Card for your Bae, use few of the best pictures of such moments which you both can’t forget. Let him/her relive those moments. It’s easy to make and will surely overwhelm your partner. Click here to get the full tutorial. Eye Love You Valentine Cards can be a great idea for your kids classmates. They will love making it, coloring it and the eye will add a fun element to the cards. It’s important for you to teach your kids the importance of all festivals including valentine’s day. Tell them, this is the day when they show their love and affection towards their friends as well as family members. You can also get involved with your kids while making them. To know how you can make these DIY valentine cards, click here. Heart is known as the keeper of all emotions. Like me, if you like conversation hearts, you will definitely like Candy Heart Cards, It’s easy to make from the material available at your home. You can use colors, quotes or phrases to decorate and inside you can write anything you want. Surprise your partner with these Cute Candy Heart Cards, on this valentines. Click here to know how you can make it. All us might not be aware of background stamping and think it’s a tough task. But in reality, it’s quite easy. Once you will learn the trick, you will love the stamping patterns. You can make it colorful, put some phrases on the top to get attention of your Bae. Use some soothing colors for stamping so that it can have positive impact on your loved ones. You can refer the tutorial to start making it now. Holidays bring joy and fun with it. The same is the case with Valentines, it gives you a time which you can spend with your loved ones. You might be thinking how to make it even more memorable. You can print few phrases on a paper and then fold it to make a card or simply use them. Choose the phrases or words wisely so that you can impress your partner ones again and let him/her fall for you again. Here is the tutorial to make it. Time to be more creative and make these cute Forest Animal Valentines Cards. These cards are small and you can easily carry them in your pockets. You will enjoy crafting them and your Bae will get crazy after seeing it. To add more spice to it, you can write some funny yet romantic phrases in it. Along with the card you can also gift him/her some treats or gifts. Click here to get the tutorial for the same. Are you looking for some unique ideas to spice up your Valentine’s day? Then, my friend Card With Lips Enveloper Seals can surely do the trick. It’s easy to make them, inside you can write some naughty thoughts of yours to amaze your partner. Making of these Card With Lips Envelope Seals won’t take much of your time. So, what are you waiting for? Start making them now by following the full tutorial here. It is an amazing idea to use colors and weather to convert a plain looking card into something so alluring. Learn how to do that. You can keep a small phrase on the top of the card and then write your feelings inside it. Using the feather for stamping is a great idea. You will love the outcome for sure and your partner will appreciate your efforts as well as creativity. From childhood, I wanted to see a unicorn; so this year while creating Valentine Cards, I thought to use my love for unicorns as an inspiration. I used various colors and made these Unicorn Love Cards. You can also try to make them at your own and amaze your friends with it. You can decorate the unicorn as you like and put a special love note inside it. This is a unique and different idea and your loved ones will definitely love it. Click here to get its full tutorial. Remember your teenage days when you use to surf magazines to find your favorite celebrities? And after reading, you cut the picture and paste it wherever you want. This 90’s Pun Valentine Card is meant for kids. It will help you in impressing your Bae with your talents and creativity. It’s easy and simple and less time consuming. Have a look at the tutorial and start making them now. Who doesn’t like a Super Hero? From kids to youngster to adults, everyone has their favorite character. Instead of having red or black themed valentines every year, this time go for hero themed valentines. Everyone will love it. You can also attach a small treat with the cards for the kids. These Super Hero Valentines Cards are liked by everyone and people will even keep it safe forever. Get the full tutorial here. Any occasion is incomplete without flowers. Now you might be thinking what’s different in gifting flowers on a Valentine’s day. Well the way you will be giving it should be different. These floral valentine’s day cards are best suited for a themed based party. Or you can also use them while hosting a party at your place. You can give every guest one of these as token of love. they are quite simple and easy to make, just follow the simple steps and your are done. Get the tutorial here. Are you a nature lover or your bae is one of them? Well in any case, gifting a Wood Grain Valentines cards is a unique idea and will make your partner feel more special. You can also use similar taglines with it to add a humorous touch to the card. This will definitely bring a smile on your partners face. He/she will keep the card safe forever. It’s easy to make, click here to know you can make it. You want to make something special for your partner but your kids are not giving you enough time to do so. Then the best idea to work in this scenario is, involving them too with your work. Ask them to help you in creating the Kids Painted Valentines Cards. This will keep them engaged and you can also focus on creating the cards. Also, it will be fun way of spending time with your kids. Now the question is how you can start making it? Click here to get the full tutorial for this amazing DIY Valentine Card idea. Cupid always carry a arrow with him and when he wants two people to fall in love, he hits them with the same arrow. This is the story we have heart about. That’s why we came up with the idea of Hearts & Arrows Valentines cards. Make these beautiful cards to amaze your partner and make them feel special on the valentine’s day. It’s simple and quite easy to create these at home with all the available materials. Click here to get its full tutorial. How about keeping your cards save inside a Valentine Gift Bag? Valentine Gift Bag Cards can be used in decorations or can simply be used as gift. You can use these to keep the cards safe while gifting them to your colleagues, kid’s teacher, family members and friends. Handmade Valentine gift bags will add a different charm to the gift and people will appreciate it even more. You can even make personalized ones as per their taste. Learn how to make them at your home with this simple tutorial. No doubt gals love pom-pom. This Heart Valentine Card Box is specially dedicated to those who are die-heart fan of pom-pom. Make your own Heart valentine card box and surprise your gal with it. She will love it for sure and will be on cloud 9 after seeing it. Inside the box you can keep cards, notes and ask her to take it out and then read. It will overwhelm her and she will never forget such a lovely gift in her entire life. To know, how you can make it? Click here. Try something different this valentine to impress your love of life. Do something which you have never done and which she can’t even think of. Then only you can surprise her to the core. Well one such idea to surprise her on Valentine’s day is making Embroidered Valentine’s Card. For those who have never tried embroidery before will find this a bit difficult but once you will get the hack of it you will easily make it. Here is the full tutorial of it. Follow it can prepare the surprise for your gal. Several ideas or suggestions might confuse you what to chose and do on the valentine’s day. You might find one idea cute, another one useful and others more creative. Well, keep calm, just feel the love and express the same in your craft. Here is a quick idea for you. You can go for Patchwork Hearts Card. You can use all your pink and red tapes while making it. It’s one of the simplest DIY valentine card idea and will take just a couple of minutes to get ready. Keeping all your confusions aside, just go for the Patchwork Hearts Cards and surprise your Bae. Here is the full tutorial to make. Earlier, valentine’s day was all about couples and romance but now people are celebrating it with those whom they love. They can be kids, friends, family, etc. You can gift them these humors yet cute I Only Have Eyes For You Valentine Card, to show you love them. It’s a funny way to saying it. Click here to get its full tutorial. Choose any of these amazing cute ideas to surprise your loved ones and to make your valentine day even more special.